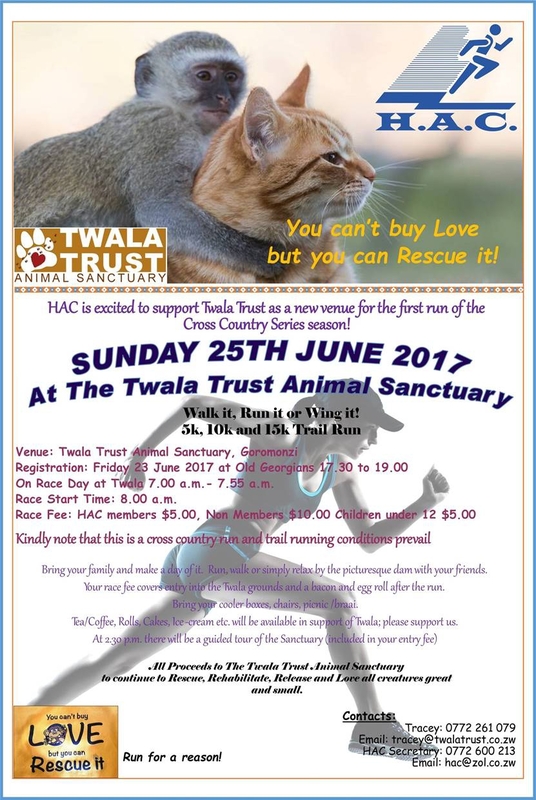 Registration on 23th June at Old Georgeans 1730 - 1900 and on the race day at Twala at 7:00am - 7:55am.H.A.C members $15, non member $10 and children under 12 years $5. Bring family make a day of it , run, walk and simply relax by the picturesque day with your friends. Your race fee covers entry fee into the Twala grounds and a bacon and egg roll after the run.